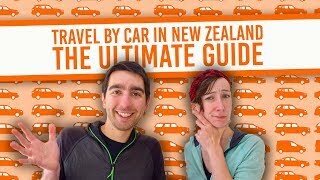 Road trip in New Zealand: Car or Campervan? The image is in your mind: driving along the open road among some of the world’s most stunning landscape and parking up for the night wherever the mood takes you… Until you hear a knock on your window and a fine for freedom camping. Although travelling by campervan or car in New Zealand is the method of transport with the most freedom, there are still a lot of practicalities to consider when choosing between the two. We’ll go through those practicalities to help you decide whether you should rent a campervan or car in New Zealand. The type of accommodation you want to stay in while travelling in New Zealand plays a major factor on what type of vehicle to rent, as well as how easy the vehicle is to drive, how many people you are travelling with, and what costs are involved. When deciding whether to rent a car or campervan in New Zealand, let your personality push you. What type of experience to you want from this road trip around New Zealand? Only then will you be able to make the decision that’s right for you. 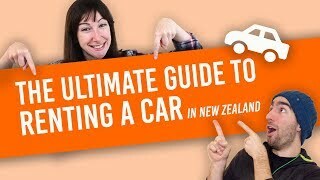 4 questions to ask yourself when deciding whether to rent a campervan or car in New Zealand? What type of accommodation do I want to stay in? Are you travelling alone or with how many others? How easy do you need the driving to be? What accommodation do you want to stay in? If you have this image of just being able to park up anywhere and camp for the night, well, that isn’t exactly the case in New Zealand. There are strict freedom camping laws in New Zealand, meaning you can only camp for free in designated freedom camping spots. However, with a bit of research before you arrive in each location to sleep the night, you can find some places to park up for the night for free. The pros – it’s free! The cons – usually in inconvenient locations, little to no nearby facilities, and nowhere to plug your campervan in, limited choice for non-self-contained vehicles. Sounds like your thing? Then really consider renting a certified self-contained vehicle. This widens your options a whole lot more for where you can legally camp for free. When you hear the term “campsite” or “campground” in New Zealand, assume it’s the most basic form of camping with facilities. 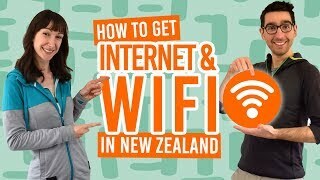 These are usually low-fee, NZ$6-$15 per person, and have basic facilities like toilets, hot or cold showers, and may have a cooking station and/or barbecue. To find out more about the facilities, take a look at What is the Difference Between a Campsite and a Holiday Park? The pros – cheap facilities for those pitching a tent or sleeping in a rental car with little amenities. The cons – usually no powered sites for campervans, some can be hard to access with larger vehicles. Sounds like your thing? You might want to rent a non-self-contained campervan to sleep in. Alternatively, rent a car and sleep in a tent. Commercial holiday parks usually have all the facilities: powered sites, toilets, cooking facilities, showers, laundry, and much more. These facilities come at a price with powered sites and tent sites often similarly priced between NZ$15-50 for two people. To find out more, check out Accommodation Guide to Holiday Parks in New Zealand. The pros – often in convenient locations found along the main tourist route and has all the essential facilities. The cons – the most expensive accommodation type for those staying in a campervan. Sounds like your thing? If you are wanting to rent a campervan and make use of all its battery-run amenities, those often found in a self-contained vehicle, then holiday parks are a necessity to charge your batteries every 3-5 days. Holiday parks also provide good options for non-self-contained vehicle renters needing facilities and car renters looking to stay in cabins and sometimes backpacker dorms. The great thing about hostels is that they have beds too. Although the most expensive form of accommodation on this list, this option is ideal for those who have rented a car. Hostel prices in New Zealand range between NZ$20-35 per person. Find out more about hostels in Why Stay in a Hostel? The cons – more expensive than the former accommodation types mentioned. Sounds like your thing? Rent a car. 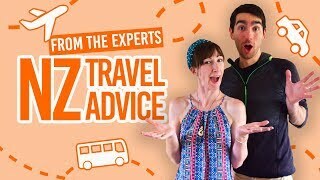 If you’re travelling solo or as a couple, you can usually easily get away with smaller vehicles, whether that be a car, campercar or small campervan. This is great to keep the price of fuel and rental down. For those set on travelling and sleeping in a campervan, having three or more people will mean you’re likely to want to upscale. Even when you have up-scaled to motorhome size, you’ll still want to be able to get along with your travel mates really really well to live in such a confined space with them. Bear in mind, when looking at the number of people rental companies say can fit into a campervan, the maximum number is always at a very tight squeeze. Remember that the larger the vehicle the harder it is to handle on the winding and often narrow New Zealand roads and the less fuel-efficient it is. If sleeping in the same confined space with all your friends sounds like a bit of a nightmare, then remember that car rental is cost-efficient, especially when the price is split 3, 4, 5, 6, 7 or 8 ways. From there, enjoy a bit more space in a backpacker hostel dorm or in your own tent for accommodation. How easy do you want the driving to be? New Zealand’s roads are winding, often narrow and often gravel roads. Keep that in mind when deciding whether to rent a campervan or car in New Zealand. If you’re not confident with big vehicles, then car rental or a small campervan/campercar is a better option. The bigger your vehicle gets, the more you have to be aware of: how much of the road you’re taking, how top-heavy the vehicle is, etc. It’s unlikely that you have driven a vehicle like this before, so it might take a few days to get used to medium to large campervans and motorhomes. Nevertheless, many of the motorhome-rental companies come with high-tech gadgets and cameras to see what’s behind you, as well as mostly automatic gears. For more information on New Zealand roads, take a look at 12 Safe Driving Tips for New Zealand and How to Drive in New Zealand. How much do you want to spend on campervan and car rental? Car rental daily cost is from NZ$9/day (with conditions) to NZ$150/day for people movers (8 seaters) in the high season. Campervan rental daily cost is from NZ$19/day (with conditions) to NZ$350/day for full RV (6 berth) in the high season. Along with the base price of your car/campervan rental, you need to consider fuel price. The cost of fuel in New Zealand for 91 Unleaded fuel is above NZ$2 per litre meaning that a full gas tank for a car is around the NZ$70 mark and for a campervan around the NZ$90 mark. You also need to add on the mandatory extras, like ferry costs, young driver fee, additional driver fee, one-way fees, etc. You may also want to get insurance. Finally, add in what accommodation-type you will be staying in along with its costs. For more costs to consider, check out How Much Does it Cost to Rent a Car in New Zealand? To save on some of these costs, check out 20 Ways to Save Money on Car Rental in New Zealand.